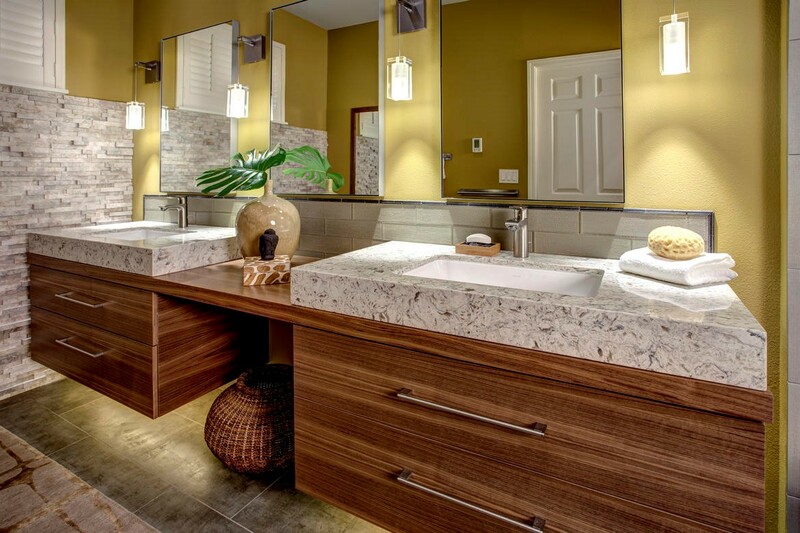 Remodeling various rooms in your house can add value and distinction to your home, but there is nothing that adds personal pleasure and enjoyment more than creating a beautiful, customized master suite with a luxurious, spa-like bathroom. There are no set-in-stone rules about what must or must not be included; it is all about what will make the space work best for you. 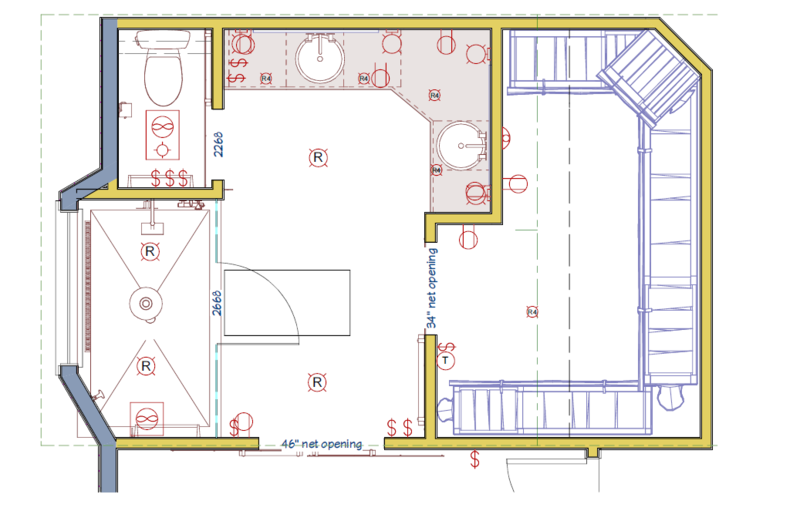 Creating separate spaces for husband and wife is often high on the list. In the photo above, both vanities have ample storage drawers. This client also added a recessed cabinet for additional storage as well as a full-height linen closet to store towels, set up a charging station, and house medicines. Couple often have different priorities. 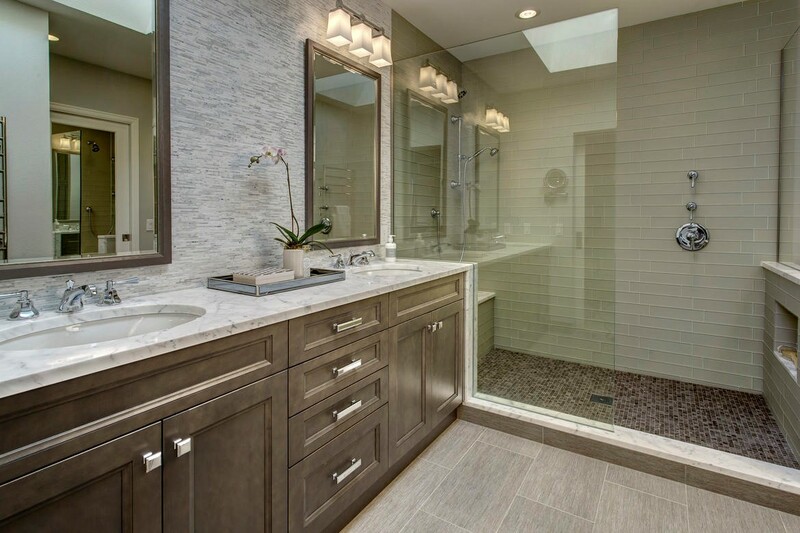 Finding a way to accommodate everyone's needs may take extra creativity, such as re-configuring the bathroom a bit and possibly combining the tub and shower behind frameless glass to make the most of the existing square footage while still making the area feel spacious. Many people buy or build a house that fits their family at its largest. As children grow and embark on lives of their own, the need for many bedrooms diminishes. 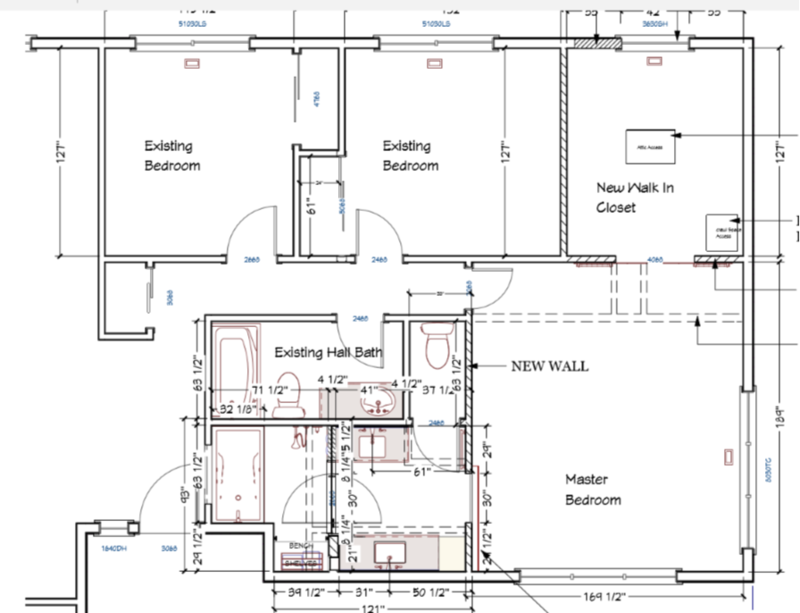 In the plan above, we repurposed one of the bedrooms to create a walk-in closet for the master bedroom, by moving a wall in one bedroom and re-configuring the entrance to the master from the hall (see the dotted lines for a better idea of the walls we removed). The middle bedroom actually expanded to become a more useable guest space, and the master suite is now very spacious, fitting seamlessly into the home. 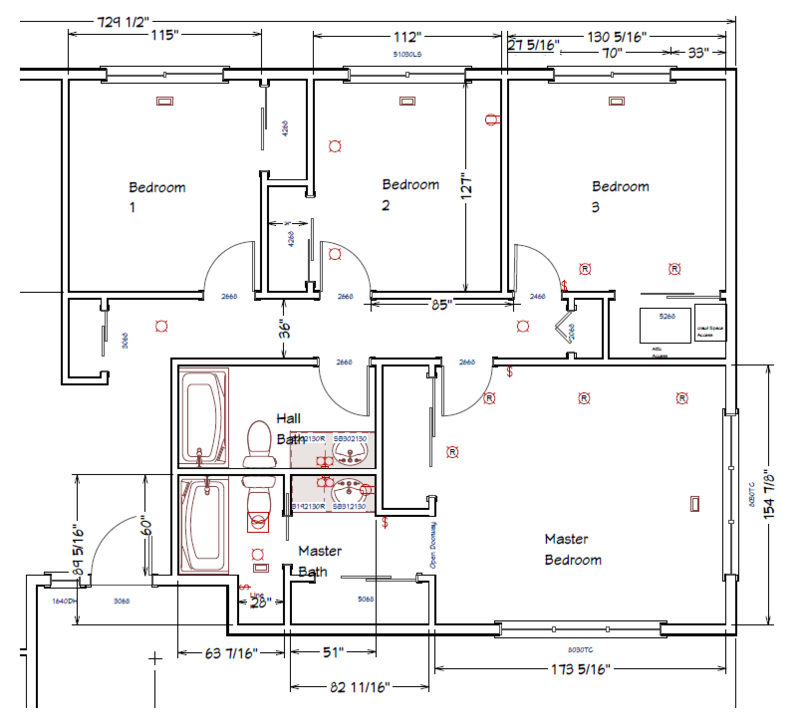 Many people create a master suite by building out and adding space to the existing structure. There is nothing wrong with this approach; it can be the best option when zoning regulations or the floor plan is too restrictive. However, it also requires more work and additional expense (demolition, foundation and framing, zoning approval, upgrading infrastructures, etc.) than utilizing existing space. Most people who choose to add on in this way will love the results, but the other alternatives are first to explore when possible. The great debate: to delete or not to delete the tub? For many homeowners, the tub does not hold any real value other than being a very convenient, oversized laundry basket. It is quite common in the homes we work in to find a very large tub and a very small shower in the existing space. 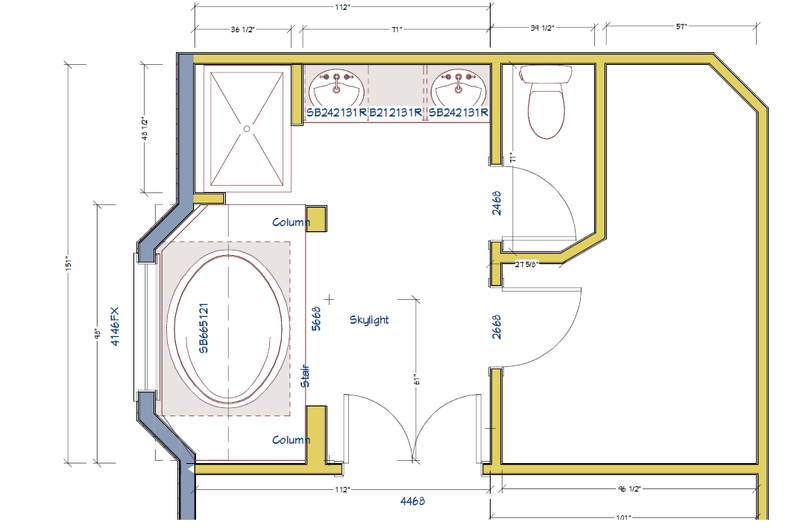 By deleting the oversized tub, you can create a spacious shower for two with built-in seating. We often install double shower heads, and sometimes, a ceiling-mounted rain shower. 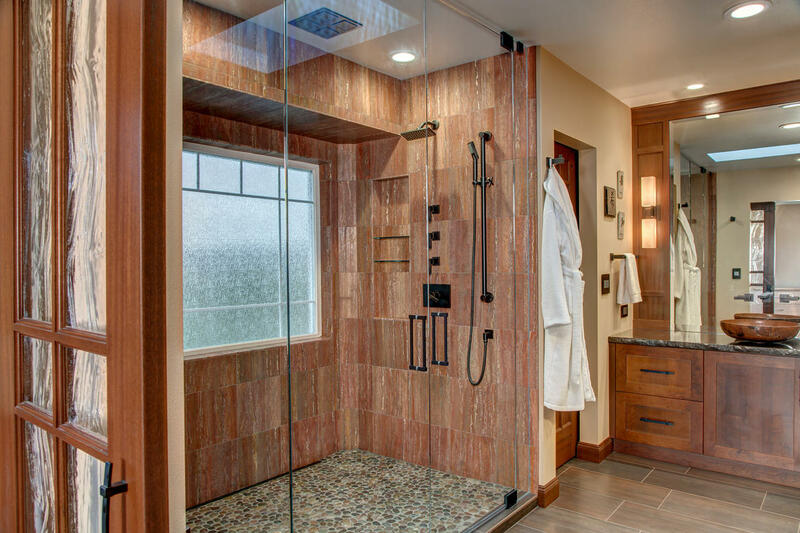 If the tub is not suiting your needs and you dream of a large shower, this is your chance. You'll love every minute in the new space. To create the spa-like master bathroom this client dreamed of, we moved the toilet from one side of the bath to the other. 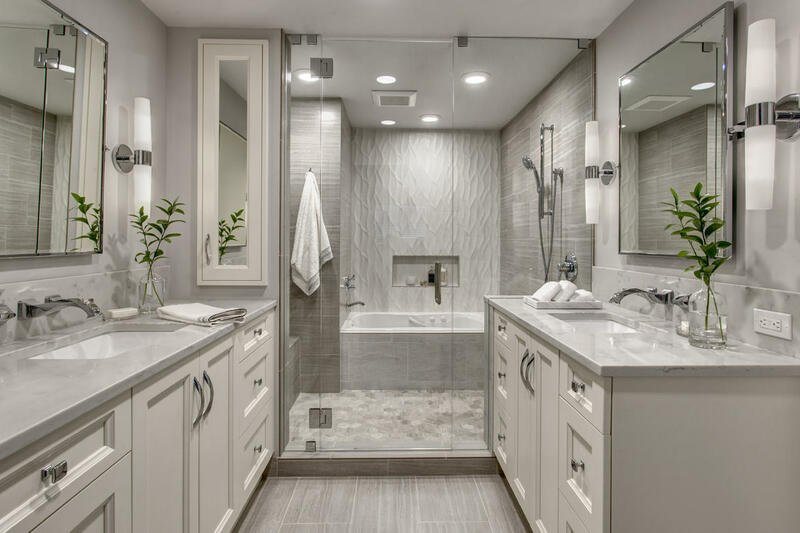 The oversized tub became a luxurious walk in shower, and the closet was slightly reconfigured to add more functionality and increase vanity space. Every aspect of the space changed for the better, and the overall feeling is amazing when entering the room, as well as knowing that every inch was personalized for the homeowners. Remodeling various rooms in your house can add value and distinction to your home, but there is nothing that adds personal pleasure and enjoyment more than creating a beautiful, customized master suite with a luxurious, spa-like bathroom.